Our pool has a volume of more than 25,000 gallons. Can we install several Nature 2 Express purifiers and, if so, how? 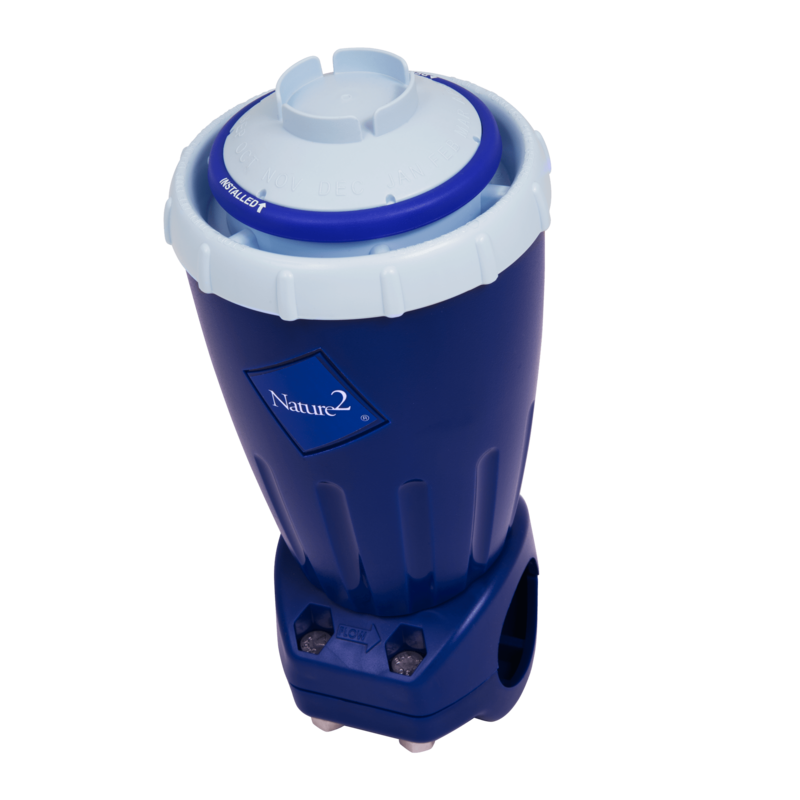 The Nature 2 Express is specifically rated for for any pool up to 25,000 gallons. Its not recommended to use multiple Nature 2 Express purifiers on a pool larger than 25,000 gallons. 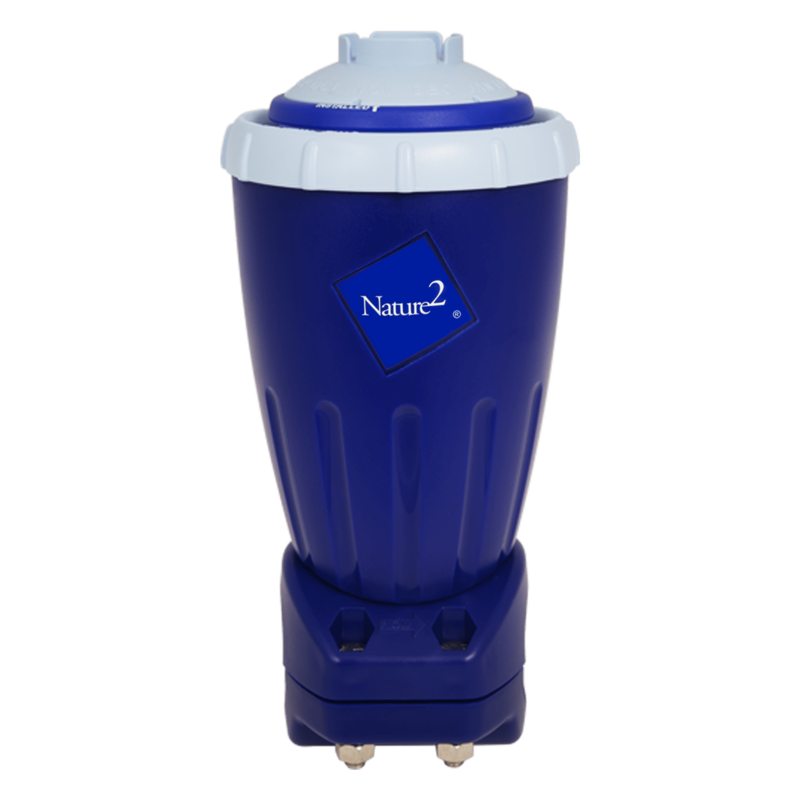 The Nature 2 product line has multiple styles of purifiers for various pool sizes. 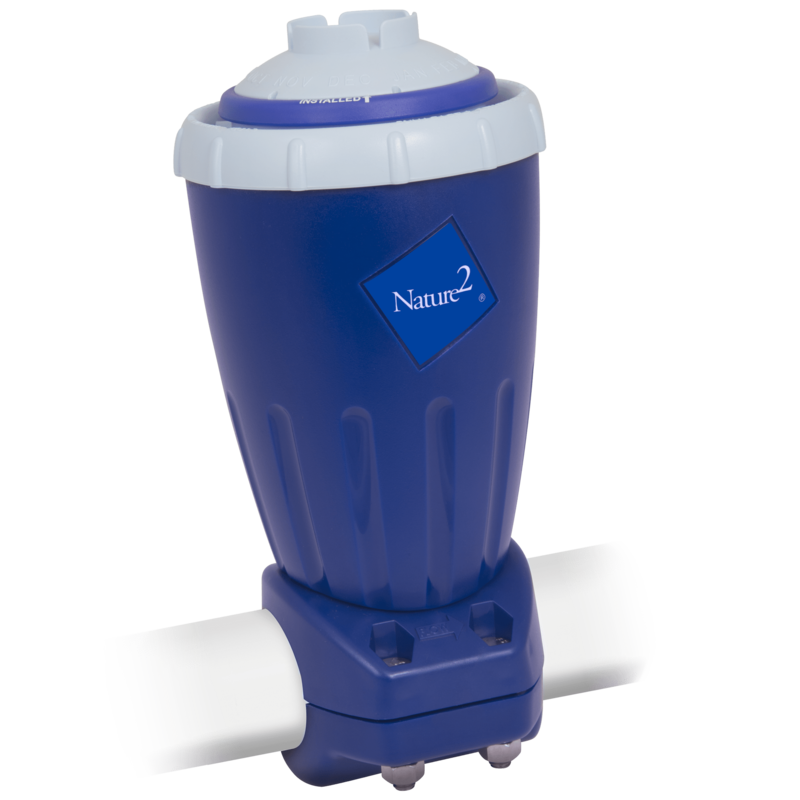 Please see our Nature 2 product line for more information. 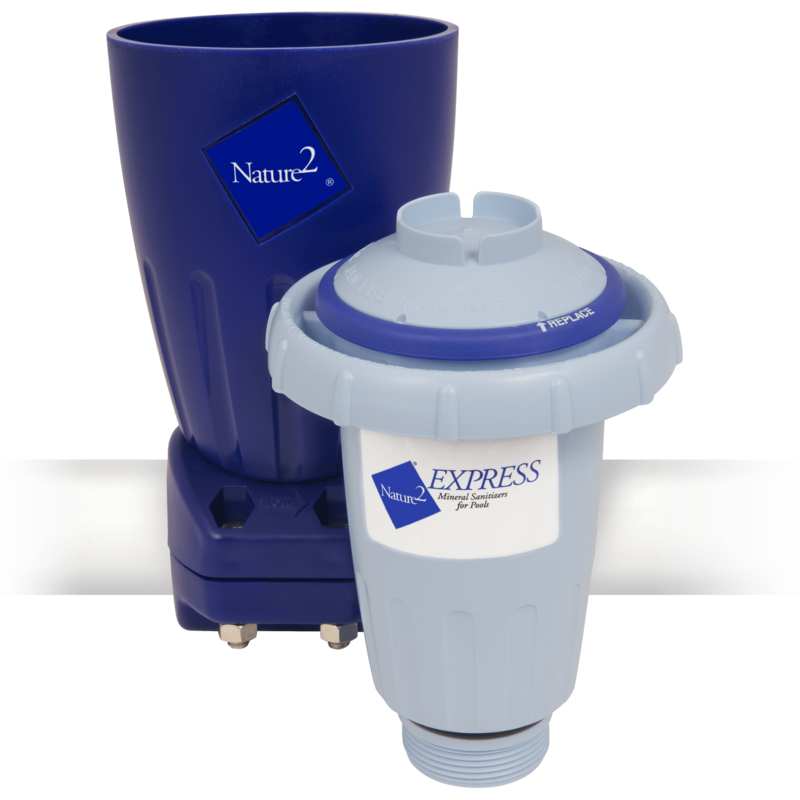 What is a Nature 2 Express? Where should the Nature 2 Express system be installed? 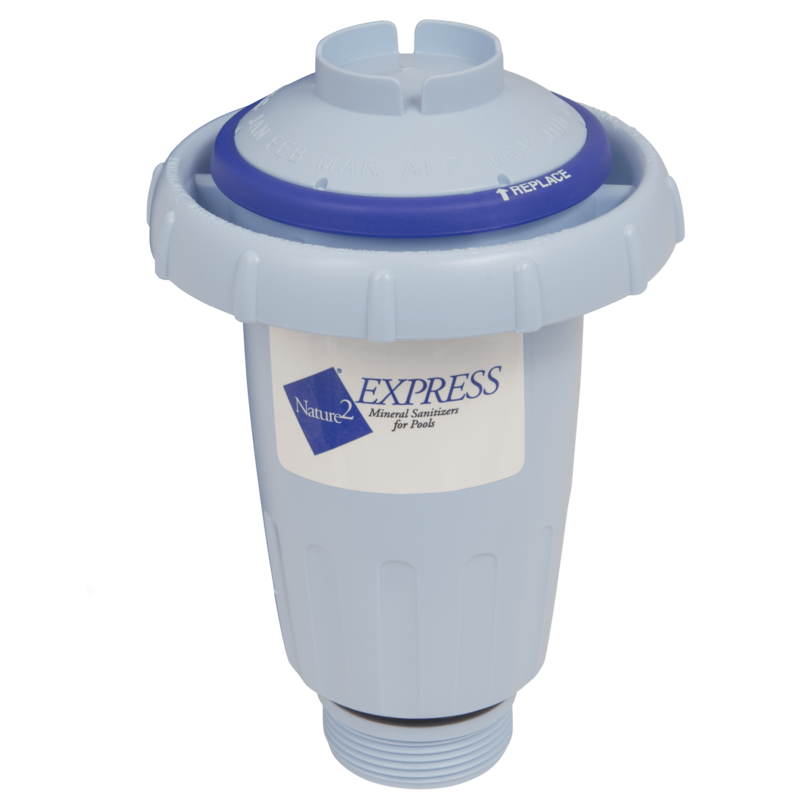 Nature 2 Express must always be installed on the return (discharge) side of the pump, after the filter, before or after a heating system, and always before an automatic chlorine dispenser, if applicable. The Nature 2 Express. Please refer to your installation manual for the correct plumbing method. Yes, you will reduce chemical use and maintenance time. Basket cleaning, vacuuming and water testing will be the same as before, but the water balance will be easier, meaning there's simply less to do.